For those of us under snowfall, winter is a boring time to be a gardener! There isn't much to do in the garden in December and it's pretty darn depressing to look at. I have found a few garden chores to keep busy though. 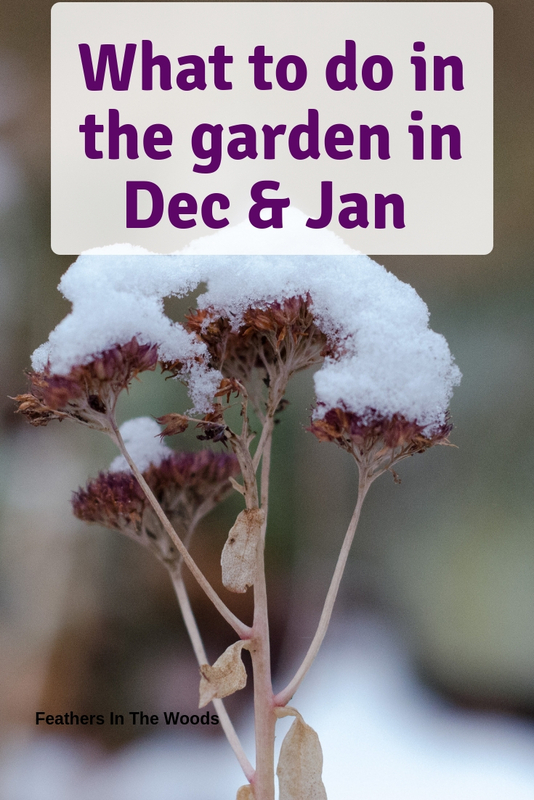 One of my favorite gardening chores for winter is my assessment of the past years garden. I like to think I learn from everything that I plant. Sometimes new things work out and other times they don't. For instance, this year I learned that the Lollipop lilies I had planted by the house were actually being eaten by rabbits and not deer! No wonder all my tricks for keeping deer away from the garden weren't working. December and January are great months to prune climbing roses, grapes, Japanese maple trees and the like. I prune my weeping cherry tree every winter and it's been thriving since I started taking care of it! Dead branches should be pruned as close to the trunk as possible. Prune grapevines in December or January but no later or the cut end will bleed sap. Prune fruit trees (except stone fruits). In winter the birds appreciate a little extra help with finding food! 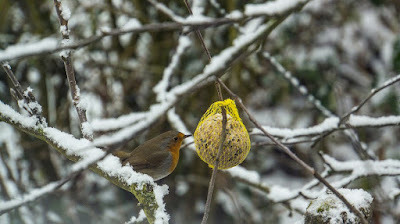 Fill feeders or hang suet blocks to help them get through. Birds eat bugs and feed on weed seeds during the growing season, so attracting then to your garden year round just makes sense. Clean and inspect garden tools. Before putting your garden tools away for winter, make sure they're clean. Remove rust before storing insures that your tools will be ready to go when you need them in storing! You can also coat your tools with a light coating of vegetable oil to prevent them from rusting over winter. Take a good look at each piece as you clean it. Is it still in good shape, or does it need replaced? Make sure water is turned off to the outside faucets. Open the faucets and let drain so the water left inside the pipes doesn't freeze and burst them. I insulate taps with a cover even though I turn off the water supply at the main pipe. Check what's on sale online and in stores. Make a list of what you need for the new season and pick up gardening supplies at a discount. It's off season so many of last seasons tools and equipment can be found for a great price! Go through all your seeds and figure out what you have enough of and what may not be viable and needs replaced. 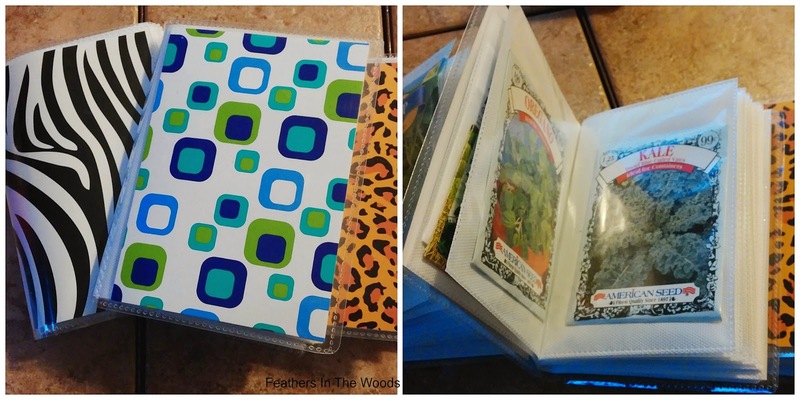 I don't tend to have a lot of seeds so my organizing method is very simple, but many gardeners with bigger seed collections use craft organizers, photo cases or old fashioned recipe boxes with great success. Decide what you'll be planting. Deciding what to plant in your garden can be as simple as jotting down everything that was successful the last few years and decide which ones are worth the effort to grow again. Or you can spend time exploring new varieties and experiment with some new flowers, fruits or vegetables. You'll need to know what you want to grow though, before you can move on to the next winter gardening task. Plan next year's garden out completely. Keep in mind crop rotation, plant spacing, succession planting and companion planting. Make a chart and play with your placement till you get it exactly how you want it. Check out: How to draw a remarkable effective garden map. Speaking of maps, if you didn't make a sun map of your garden yet, now is the time to do it! Now is the perfect time to order your catalogs and/or seeds for next year's garden. Many seed websites are already updated for the new season, or order some fancy catalogs like the free one from Baker's Creek and spend a few days picking out your plants for next year! Unfortunately that's about all there is to do in the garden for the next month or so. After that though, it's time to to start seeds and get the garden started again! This was the blog post I needed! I've been gardening for three years now, and I always go into a winter lull of sorts. I've decided to give my beds a break this year and I'm planting flowers/ herbs instead of produce. Analyzing past years leads me to believe that one of my beds is no good due to tree roots. :( Any tips? I have a few beds with a lot of tree roots....I live in the woods so anything not dead center of the yard has roots. *sigh* Hostas, Lambs ear, lilies and Sedum grow pretty well in beds with roots or rocks. Raspberries, blackberries, lemon balm and mint also do well as they will send out their own shoots and only grow where they have the depth to do so. Strawberries are also pretty shallow so they should work in those beds also. Good luck!